My Brookland DC neighborhood has recently become an up and coming neighborhood with housing prices escalating and fun new restaurants. 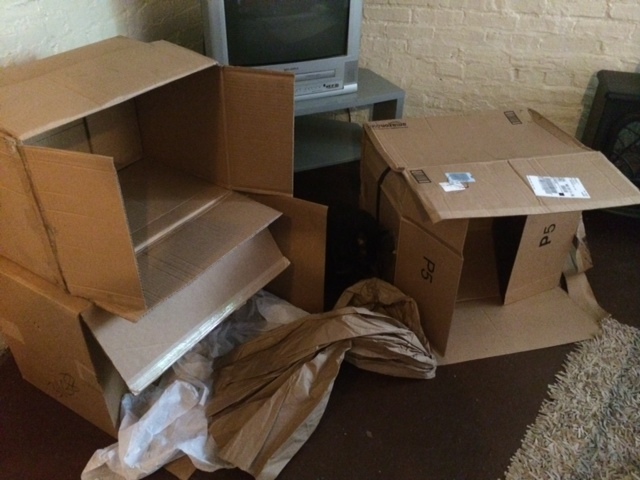 Jean Claude, the Black Bombay and Koko, the celebrity cat have demanded that their accomodations be modified to reflect this upwardly mobile trend – with not one but two cardboard houses. 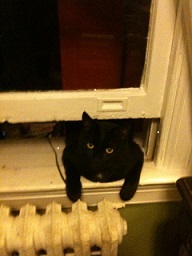 Posted in Uncategorized and tagged Brookland DC, Cats, DC, house, pets, Washington. Bookmark the permalink.